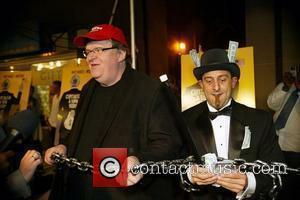 Does anyone else find it suspicious that shortly after finishing his new film "Ctrl+Alt+WikiLeaks", Michael Moore is now bailing Julian Assange out of jail as well as offering up money servers, domains, and support to keep WikiLeaks alive? Julian Assange was arrested at 9:30 a.m. (0930 GMT) Tuesday and is due to appear at Westminster Magistrate's Court later in the day. He had been hiding out at an undisclosed location in Britain since WikiLeaks began publishing U.S. diplomatic cables last week. While WikiLeaks’ Julian Assange has made a name for himself by putting members and operations of the U.S. military under the public’s microscope, don’t expect him to shed light on his own personal trappings. LONDON – The WikiLeaks website appears close to releasing what the Pentagon fears is the largest cache of secret U.S. documents in history — hundreds of thousands of intelligence reports compiled after the 2003 invasion of Iraq.